Batteries are the heart and soul of an off-grid solar system. 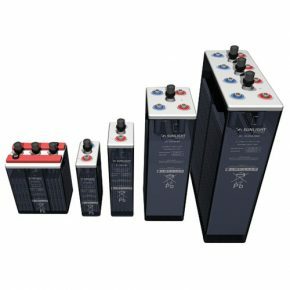 It is absolutely essential that your batteries are sized perfectly for each job, in order to ensure the success of your projects and therefore your business. If you understand the importance of spec’ing the right batteries for each job, you’ll want a trojan battery distributor who is fluent in the best solar batteries across the industry. At Zonna, we don’t just understand batteries, we work hard to supply you with the best solar energy batteries, for the right price, in the right place, at the right time. We’ve partnered with three leading battery manufacturers, each pioneers in their field, bringing you the best solar batteries available on the market today. If you’re looking for more than just batteries check out our solar energy equipment supplier homepage to see what will be needing. An American battery producer with nearly a 100-year legacy, the Trojan Battery company has invested significantly in the solar industry. Trojan’s Smart Carbon™ technology provides improved charge acceptance, faster recharge, and 15% increased charge cycles, specifically engineered for systems where batteries experience partial state of charge—a common challenge in off-grid solar systems. Would you like to install batteries that are easy to maintain? Trojan’s HydroLink™ Watering System makes watering batteries easy and simple, with their water level indicator, flame arrestors, and quick fill (less than 30 seconds). Plus, they offer a full 4-year warranty! For a conventional battery from a leading producer that cuts no corners, Sunlight Reliable Battery Solutions is a strong contender. Demonstrating top market performance for over 30 years, both Sunlight batteries and company behind them have stood the test of time, providing reliability through their state-of-the art manufacturing. Sunlight is committed to unmatched value proposition in the conventional battery market—through combining high quality products with competitive pricing. Experts in Tubular Plate Lead-Acid Solar Energy Batteries, Sunlight provides a win-win approach to powering off-grid solar systems. 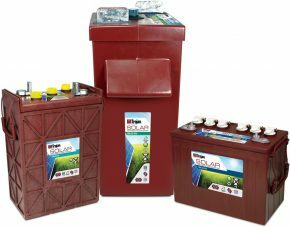 If there’s any brand in the solar industry that believes in adapting quickly and effectively around the latest technology, it’s RELiON Battery. 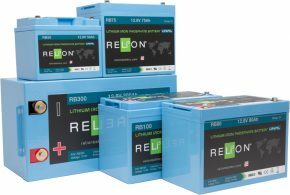 Whereas the market continues to be dominated by relatively inexpensive 100+ year-old lead acid battery technology, LiFePO4 lithium-ion batteries from RELiON last up to 10 times longer, charge faster, are lighter, and require less maintenance than their lead-acid counterparts. Though the up-front cost is higher, the total cost of ownership over the long-haul make RELiON Batteries a smart and viable solution. Demonstrating RELiON’s commitment to innovation and solving the challenges surrounding lithium iron battery technology, their new LT series self-regulates internal battery temperature, safely charging and maintaining the health and life the cells in low temperature. For a truly forward-reaching battery from a forward-thinking brand, we’d love to help you spec out your next solution from RELiON Battery. You need high-performing and reliable batteries for your clients’ off-grid systems, and we’re committed to getting those to you. Here at Zonna Energy, we carry a line of great products that we’re confident will meet your customers’ needs, whatever those may be. Don’t settle for less–choose Zonna Energy to be your solar energy battery supplier! If you’re ready to order solar batteries, call us today at (330) 674-1750! Not sure we have what you need? We are ready and waiting to talk with you and answer any questions you have. Don’t make the mistake of ordering batteries from a solar battery supplier that doesn’t understand off-grid. Our competent, experienced off-grid experts are more than happy to discuss your current projects or how to partner in off-grid solar.